Betsy Bredau has lived in rural, suburban and urban communities on the West Coast, and experienced the impacts of poorly planned development. She now resides in Pacific City and enjoys hiking, travel and volunteer work for local organizations. I have lived in just about any kind of housing imaginable: tent, small travel trailer, Army barracks, apartments, a manufactured home that I owned on a leased space, a townhouse and a single family home. There’s nothing like livin’ it to have some opinions on affordable housing. My comments may seem obvious or simplistic to some, but I’m surprised by how little consideration is given to the end consumer of affordable workforce housing. I’m going to address workforce housing for teachers, nurses, fireman and others who are offered full-time, living-wage employment in Tillamook County but are not current residents. These workers expect (and deserve) decent housing comparable to the Portland Metro area, but they may not want the expense or long term commitment of buying a home. Of all the different housing I’ve lived in, two kinds hit the sweet spot between quality of life and affordability for those with incomes around $33,000 a year, which is about $16 an hour. First, the most affordable would be a well-managed apartment home in close proximity to shopping and services. There are some formulas that work well for rental apartments and some that do not. Good formulas include four components: careful tenant screening, detailed tenant rules, on-site resident managers and the willingness to terminate tenancy of disruptive tenants. The worst formula I ever experienced was actually proposed recently in Pacific City. It consisted of plunking an 8-unit apartment building on a 50×100’ lot. If your objective is instant slum housing, 8-unit ‘crackerboxes’ hit every mark. Read about my experience in the 1980’s with these neighborhood-killers: http://articles.latimes.com/1995-10-13/local/me-56483_1_downtown-long-beach. From a construction standpoint, a decent apartment must have sound insulation to minimize noise from adjacent units and, please, energy efficient windows (at least!) to keep the tenant’s electric bills affordable. 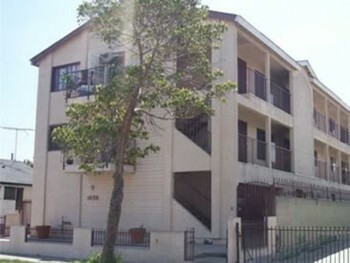 From what I’ve heard, Garibaldi Village is a great example of a carefully managed, livable multi-unit housing complex. My only tweak to the project, from a tenant’s perspective, would be to locate it closer to the shopping and services of the City of Tillamook. As much as we may like the idea of spreading workers out all over the county, it sure makes it hard on the worker if he/she needs to rush to a pharmacy to get a prescription filled. Concentrate on housing that provides quick access to affordable groceries, clothing stores, furniture, car repairs and other necessary consumer goods and services. My second housing choice is a well-managed manufactured home park. Not just a rundown patch of dirt, but decent-size lots with paved streets, street lights and attractive common areas. The land and infrastructure is owned by the ‘landlord’ and spaces are leased to the manufactured home owner. The home owner either lives there or rents out the actual home. The land owner still maintains control and is responsible for overall property management. This housing is usually more expensive than an apartment rental, but residents don’t have to share walls, may have pets and have space on their lot for a garden or small storage shed. It’s a huge quality of life improvement over an apartment. Manufactured homes have popped up all over the county on individual lots, so a nice, well-managed manufactured home park seems like a no-brainer for our mid-income work force. I lived in a manufactured home park for ten years. I had wonderful neighbors and the homes were far enough apart to give me single-family-home peace and quiet. Our park management team worked diligently to keep the place orderly and secure, which, as a single woman, was a huge benefit. Do we need to attract skilled, educated workers to Tillamook County? Is there a shortage of affordable housing that has the quality of life that these workers desire? Our newly elected County Commissioner, who works for one of the largest employers of skilled workers in the county, will be an important voice answering these questions. If and when new affordable housing projects are submitted, I hope that our elected officials and community development staff consider the end consumer. Give priority to projects that are conveniently located near shopping and services and have appropriate long term management. Avoid speculative, hit-and-run development, pushed by those just wanting to make a quick profit.